It all starts with tagging your assets. Whether you are migrating from another asset tracking system or you are deploying one for the first time, TrackAbout makes it easy to get started. Asset registration includes everything you need to import your existing assets into TrackAbout. Get an asset tag on every asset in a few short steps. TrackAbout can import data from any system by using a spreadsheet. Add as many properties to an asset as you would like. This could include fields like the following. Once you import your assets or add them individually, the next step is to make sure that each asset has an asset tag. This is typically a rugged barcode label, but it could also be a combo RFID tag and barcode label. Most customers order pre-printed barcodes from TrackAbout, but you can also use existing barcodes or print your own. 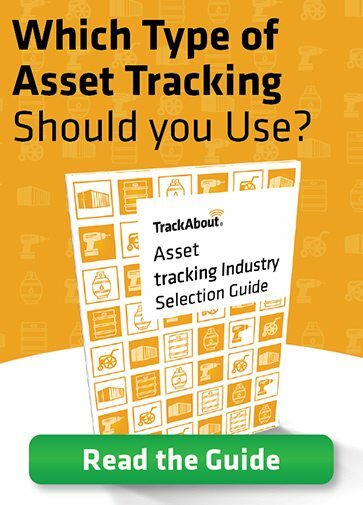 TrackAbout asset tracking software makes it easy to support every scenario. In addition to supporting unlimited properties per asset, TrackAbout allows you to define custom rules for each property. Use your own terminology and decide which fields must be kept up-to-date for each kind of asset you track. To make registration even easier to use, TrackAbout asset tracking software includes a few conveniences for quick registration. Serial numbers can be required or optional based on the type of asset. Multiple assets of the same type can be added together. Also TrackAbout has built features to handle the kinds of problems you are likely to encounter. Reject invalid number formats and scrub serial number data. Was that the letter “O” or the number zero in a serial number? We treat them all as zeros.